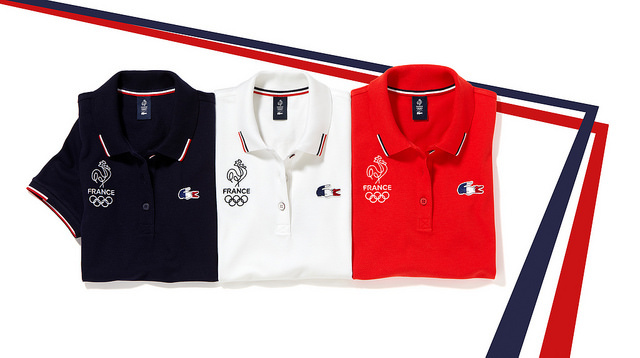 Lacoste on Tuesday announced it is the official supplier of the Paris 2024 Olympic and Paralympic Games Bid Committee. The iconic sportswear brand, whose founder is tennis champion René Lacoste, scooped an Olympic medal himself in 1924, is in familiar territory as the official outfitter of the French Olympic and Paralympic teams. “We are proud to support those who carry the French colors for the Paris 2024 bid. Inspired by sport, our collection embodies to perfection the idea of French chic in an elegant, relaxed way,” stated Thierry Guibert, Lacoste’s chief executive officer. 2024,” stated Etienne Thobois, the bid committee’s ceo. This entry was posted in Lacoste, Olympics by JFP. Bookmark the permalink.